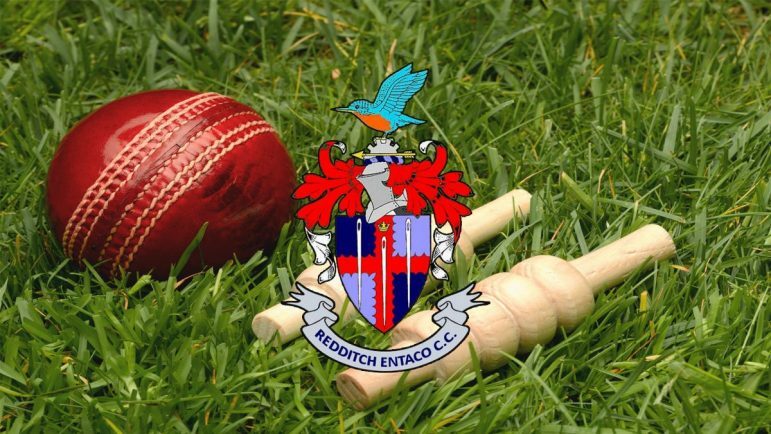 REDDITCH Entaco visit Handsworth on Saturday in a key Birmingham League Division Three fixture between two of the three sides yet to win after three rounds of fixtures. The Kingfishers sit second from bottom following Saturday’s convincing eight-wicket defeat at Stourbridge. The visitors began well as openers Rizwan Mohammed and Tom Field put on 42 but, after the former departed for a quickfire 31, wickets tumbled and, despite late resistance from Haris Ali (27), Redditch were dismissed for just 149 in the 47th over. Stourbridge overseas player Nathan Crudeli took 3-57. Noman Mohammed (2-30) struck early in reply but veteran Harshad Patel (58no) and a quickfire 29 from Marvarick Perry – who also enjoyed a good day behind the stumps with three catches – helped Stourbridge home with 11 overs to spare. The 2nds suffered a similar fate at home to Stourbridge although the match was a much tighter affair as the visitors took the points with a two-wicket victory. The Kingfishers amassed 194-4 off 45 overs with half-centuries from Faizan Ahmed (55) and Stefan Jagielski (59). Stourbridge started well thanks to 41 from Aiden Avery but Redditch bounced back and looked destined to win, only for a fine 72 not out from Vikesh Patel to see Stourbridge home with three overs to spare. Handsworth are the visitors to Bromsgrove Road for a 2nd XI match on Saturday. A young Redditch 3rds were no match for a well-drilled Droitwich as the visitors won by eight wickets at the Entaco. Redditch could only manage 62 as Fardeen Shakeel (17) and veteran Nick Little (15) reached double figures. In reply, Droitwich took just 17 overs to complete an eight-wicket victory. The 3rds can welcome back skipper Liam Phelan as they travel to Highley on Saturday. The 4ths begin their league campaign on Saturday with a derby against Feckenham 3rds at the Entaco. The Sunday League side took the points with a 94-run victory against Walmley. Redditch scored 249 thanks largely to a century partnership between Matt Mansfield (75) and Tim Fitch (74). In reply, Walmley started well but Redditch bowled and fielded well to dismiss the home side for 155 as teenagers Sahil Mahmood and Amaan Malik took two wickets apiece. Redditch visit Hampton & Solihull on Sunday.